Whatever your personal or professional situation, whether you are an expert or a citizen, whether you are from the North or the South, we invite you to join ENERGIES 2050! We can not work without your support, be it moral, material, financial or volunteer your time or expertise to serve the social purpose of the association. Thank you for spreading our call to your relatives and friends. Thank you also to those who already support us. ENERGIES 2050 continues to operate solely on a project, donation and membership basis. We do not received any operating grants from the public or the private sector. This situation guarantees us a total independence and we are very proud of it. We thank in advance those able to do so to bring a support essential to the continuity of our activities & a huge thank you to those who already support us. Joining ENERGIES 2050’s community by contributing or making a donation helps the association to achieve its social objective and set up its actions on the long term. Every contribution is important to reinforce our means for action. To make a donation is to become, in fact, a member of the association. Support our societies’ necessary transition by promoting a social and solidarity economy as well as a more responsible consumption and production patterns, thus bringing more equitable accesses to wealth and jobs, and enhancing economic, social and environmental performances. Support the implementation of concrete and scalable projects in our various fields of intervention: Sustainable Development; Climate; Natural resources, agriculture and the environment; Sustainable Cities, Buildings and Territories; the Energy Transition; Social and Solidarity Economy; Gender; Citizens’ Involvement. Contribute to building up technical knowledge towards professionals, public institutions and citizens. Build up with us the opportunities and actions of tomorrow. Thank you in advance to those who will commit with us and who will support the collective adventure of ENERGIES 2050. If you are a legal person or a company and if you want to support ENERGIES 2050’s activities, please contact us, we will reply as early as we can. ENERGIES 2050 is a non-profit association working strictly for the general interest and, hence, taxable people and organizations based in France can receive a tax reduction certificate (your contribution or donation being without any counterpart, every payment is considered as donation to support the activities of the association). 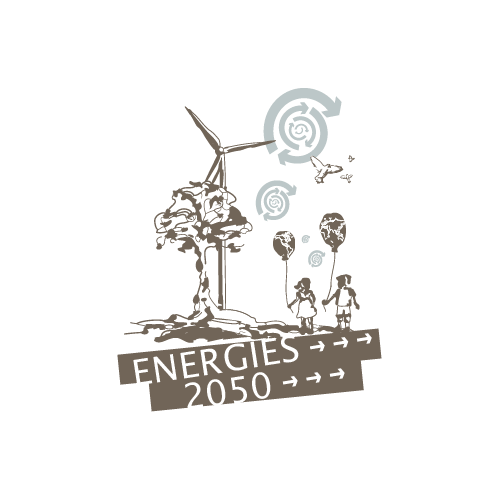 ENERGIES 2050 is an association whose head office is in France and acting non-profit and working exclusively in the general interest. As such, taxpayers and organizations in France or in Europe can benefit from a tax reduction according to the French or European regulations (your membership fee or donation being without any counterpart, all the sums paid are considered as gifts to support the activities of the association). 66% of your support is deductible from your tax within the limits of 20% of your taxable income. If the 20% limit is exceeded, the tax reduction can be spread over a total period of 5 years, enhancing the possibility for strong support. Example: After tax reduction, a 20€ donation will only cost you 6.80€. For example, if you want to give 30€, you can consider giving 90€ because the government will pay you back 59.40€. 60% of your support is deductible from the corporate tax or from the income tax within the limit of 0.5% of your turnover. Your support can also be reported over a period of five years if the 0.5% limit is exceeded or if your company does not have to pay any tax during the year in which the support is made. The Help Freely Foundation is an initiative that assumes that working with an association should be simpler and an integral part of our daily lives. To this end, it brings together associations such as ENERGIES 2050 with online sales partners who undertake to repay part of the amount of purchases made in charitable funds in favor of these associations. It is important to specify that the prices on the partner sites are the same as by passing directly through the merchant sites (the prices are therefore without any increase). Registration on the site is simple, fast and totally free. To maximize the impact of your purchases on our activities, we suggest an enrollment sponsored by an ENERGIES 2050 member (see below). A bonus on the percentages paid by the merchant sites on which you will make your purchases will be donated to the association. Click on “register as user”. A search engine appears. Search for ENERGIES 2050 and confirm your choice. BONUS: You can also install the Helpfreely toolbar which allows you to indicate in real time whether the shop you are browsing will allow you to collect charitable funds.